Sound too good to be true? We hear that a lot… take a look at this recent “Fact Check” article published by CDL Life! 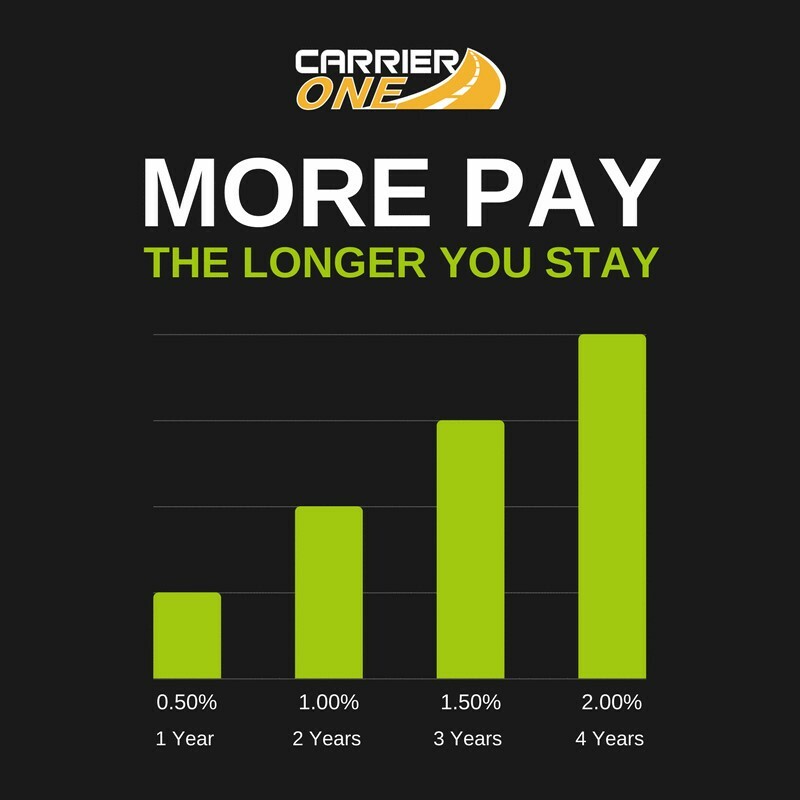 Contractors at Carrier One are compensated based on a fixed percentage (80% to start) of the revenue generated from the freight they haul. As rates increase, so does your compensation. 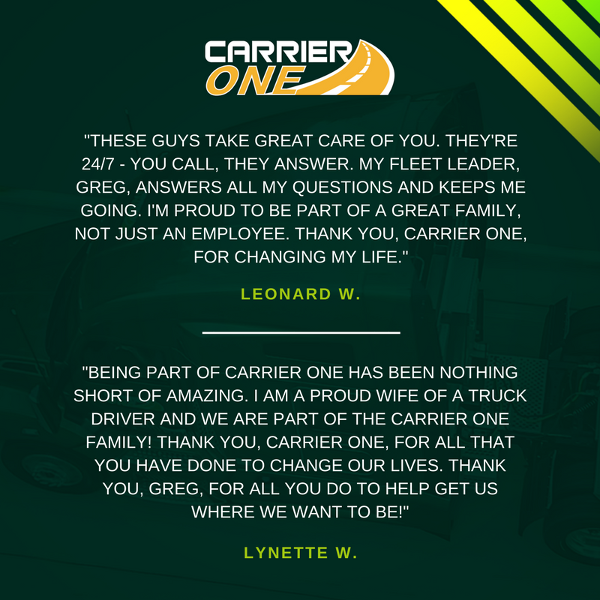 Owner Operator Details – Bring Your Own Truck! Lease Purchase – No Truck? No Problem! For every year after four, contractor receives 2% of revenue generated in last 12 months. to earn .5% of revenue. to earn 1% of revenue. to earn 1.5% of revenue. to earn 2% of revenue. The lease purchase program is offered by our preferred partner, Impel Union, Inc. and they provide any information contained herein. Lease Purchase terms are subject to change without notice. For the most up-to-date information, please contact Impel Union.